Damp Proofing & Wood Rot, Chessington. A call from Surbiton Golf Club wasn’t to invite us to play golf but to instruct us to send our timber and damp surveyor so look at a problem they had with their floors and walls. Our qualified damp and timber surveyor attended the club house and immediately found damp and timber decay problems in the club house bar area, in two separate places, This meant we had to allow to carry out the timber treatment, replacement and damp proofing works in stages to enable the facilities to continue as normally as possible. Damp wall plaster had to be removed and rotted timbers were cut out and carefully removed and taken to a designated place for disposal. The base of the walls were pattern drilled, cleared of dust and injected with a Silane/Siloxane damp proof course. The walls were then prepared and re-plastering in accordance with our damp proofing specification to complete the damp proof system. The floors were the treated with an insecticidal/fungicidal preservative and replaced as necessary with new pre-treated timber, proved with a damp proof course membrane. The skirting boards were then treated with a high performance wood preservative and re-fitted, prior to being redecorated by our clients own contractor. Tapco HomeDry are one of the most established and reputable damp proofing, timber rot, water damage and property restoration companies in London and the Home Counties, We have been continuously trading since 1971 and are established members of the Property Care Association, Trust Mark (Government Endorsed Standards) and an accredited 5 star Which? Trusted Trader. 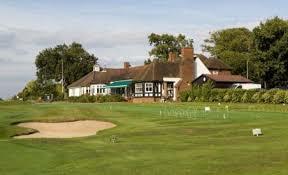 All of the damp proofing and wood rot work carried at Surbiton Golf Club out is covered by our 20 year guarantee and protected by Guarantee Protection Insurance (GPI).